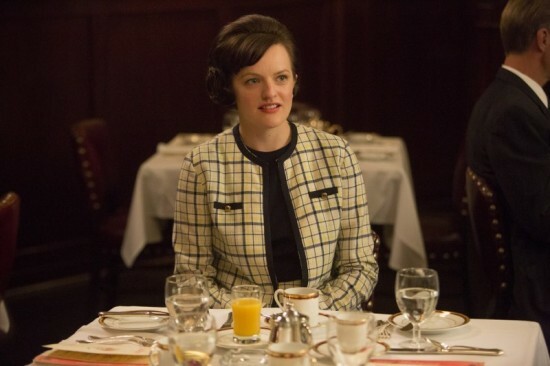 Mad Men ‘shippers, rejoice! 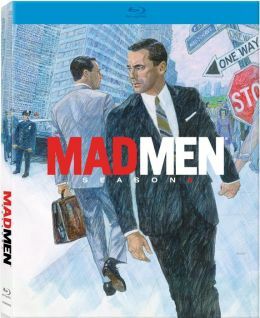 Season 6 of the ballyhooed AMC series—otherwise known as The Least Enjoyable Season of Mad Men, Ever—is finally available on 3-disc Blu-ray and 4-disc DVD. And even though Season 6 often feels as if the writers, in a fit of projected self-loathing, decided to punish the viewers who came to care for these mightily flawed characters over the years, there are still pleasures to be found here. Just be prepared to look harder for them than in previous seasons. Linda Cardellini guest stars opposite Jon Hamm in the sixth season of Mad Men. To watch Mad Men: Season 6 is to see most of the major characters morph into the potential worst versions of themselves from earlier seasons, as if all the intermediate episodes of growth and change had never happened. Don Draper (Jon Hamm, Friends With Kids) has transitioned from an occasionally sad man, who sometimes drinks too much but also has a handful of actual redeeming qualities, into a full-on sad drunk and professional screw-up, clinging with bunny-boiler intensity to the only woman who a) isn’t his wife, and b) can stand to be in the same room with him. Roger (John Slattery, The Adjustment Bureau) has regressed so far back into adolescence that even the timely death of his mother is unable to force him into a semblance of maturity. Pete (Vincent Kartheiser, In Time) has given such free reign to his petulant side that Trudy (Alison Brie, TV’s Community) can’t tolerate him anymore, a particular blow to those of us who enjoyed watching Trudy and Don tease out the hidden strengths in Pete’s character through Seasons 2, 3, and 4. We do get to see Peggy (Elisabeth Moss, Get Him to the Greek) come further into her own professionally, but—by authorial fiat—any man she becomes interested in will turn into a putz the second she takes him seriously, because Working Women Can’t Have it All. (Remember when Peggy used to make interesting romantic choices for interesting reasons?) Joan (Christina Hendricks, Life As We Know It) takes a few tentative steps toward expanding her professional creds—and earning some long-overdue respect from the men she works with—and is roundly smacked down for her trouble. Probably the only major character who enjoys at least a momentary upward trajectory is Betty (January Jones, X-Men: First Class), who finally loses enough weight to fit back into her pretty party dresses. Hooray? Elisabeth Moss breakfasts in Mad Men. This is all subjective, of course, and someone could make the point that maybe the writers are trying to show us the hollow core of the consumerist dream these characters have been pursuing both professionally and personally throughout the course of the series. Fair enough, although that seems to have been the point all along—and one that, in previous seasons, the writers were able to make in ways that weren’t so very painful to watch. But perhaps the greatest nit to pick with Season 6 is the dearth of the kind of memorable scenes that stick with you well after a first viewing. Even after watching Season 6 from beginning to end in a three-day marathon less than 24 hours ago, I’m hard-pressed to come up with more than a handful: Ken Cosgrove’s (Aaron Staton) spontaneous soft-shoe routine; a long-overdue argument between Peggy and Joan that, while occasionally straying from workplace issues into personal ones, never descends into anything that could be called “cattiness;” Sally Draper’s (Kiernan Shipka) discovery of her father and the neighbor woman in flagrante delicto (don’t even get me started on poor Sally Draper). 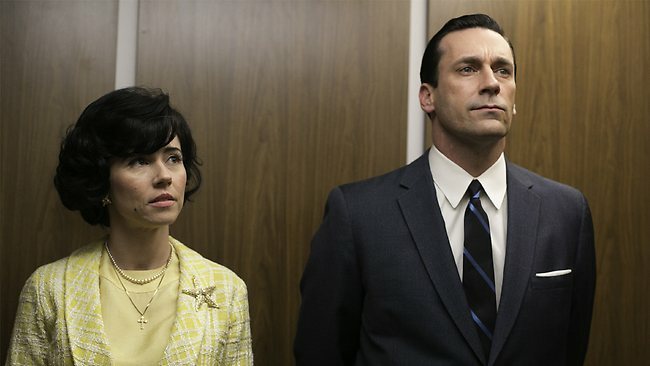 Then again—and much like that most ubiquitous of all consumerist inventions: the pizza—even bad Mad Men is still pretty good, and better than just about anything else on television. And it looks stunning on Blu-ray—crisp, clear, and utterly gorgeous. All those period details spring to singing life in the transfer. Notably lacking this time around are commentary tracks (maybe the writers also found it difficult to re-watch this season?). But we do have the usual featurettes with titles like, “Turn On, Tune In, Drop Out” and “Recreating an Era.” There’s nothing especially groundbreaking here, but hearing the crew bubble over with joy for their creation injects a much-needed positive note into the viewing experience overall. Gwen Cooper is a movie and TV lover and the author of Homer's Odyssey (no, not the one you're thinking of).